March 3rd on Switch and Wii U. Game consoles don't tend to have stand-out, killer software at launch, but Nintendo is bucking the trend again. 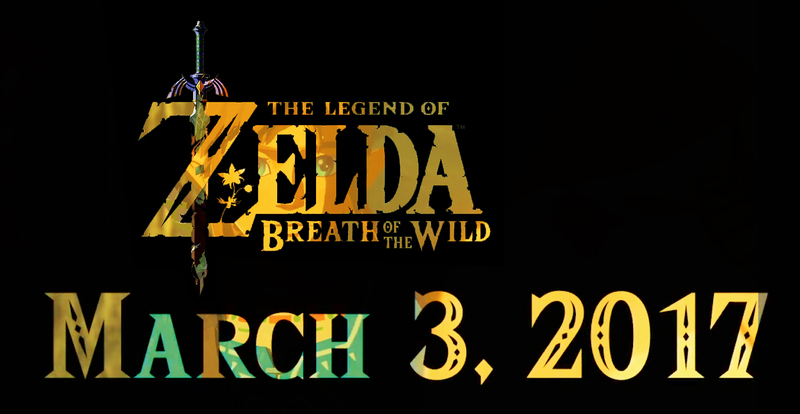 The Legend of Zelda Breath of the Wild will be released in concert with the console itself March 3rd. Not picking up the new console? The game comes out the same day for the Wii U. If this seems familiar, it's because Nintendo did something similar with Legend of Zelda: Twilight Princess, launching it on the Wii and Gamecube simultaneously. To help make the wait seem a little shorter, Nintendo also debuted a trailer for the game, showing off a few familiar sights (like the Master Sword) as well as our hero of Time, Link rode on horseback, lighting up foes with fire arrows and, of course, hang gliding and riding on horseback. It all looked seriously pretty, too.